The Volvo XC90 has risen to No. 2 from No. 8 in Europe's large premium SUV segment because of a 163% sales increase. Volvo, Land Rover and Mercedes-Benz are among brands pushing Europe's premium large SUV sector toward record sales this year. Through September, the segment's volume rose 33 percent to just under 185,000 units, according to data from market researcher JATO Dynamics. The rate of growth was the second highest among Europe's SUV sectors behind the 37 percent rise for premium compact SUVs during the same period. "It's really impressive for such a high-priced segment," JATO analyst Felipe Munoz told Automotive News Europe. Annual sales will peak this year at 235,000, according LMC Automotive, which then foresees a two-year slump for the sector as the rate of new model launches slows. The segment's overall volume is expected to start rising again in 2019 and reach nearly a quarter of a million by 2020, LMC predicts. The segment's strongest performer has been Volvo's new XC90, which ended the first nine months in second place just behind the BMW X5. JATO predicts that Volvo's triple-digit growth rate for its second-generation XC90 -- compared with BMW's 1 percent rise for the X5 -- will result in the Swedish SUV overtaking its German rival before the end of the year. While BMW and Volvo fight for first place based on sales of an individual model, Audi's latest-generation Q7, launched in Europe in July, 2015, showed strong growth. Land Rover has a commanding lead based on brand sales. The British SUV specialist sold a combined 44,131 units in the segment through September, a rise of 1.2 percent over the same period last year, to maintain its lead. Land Rover has three models in the segment, but surprisingly it was the soon-to-be-replaced Discovery that posted the biggest percentage growth for the brand. The Discovery will be replaced early next year by a new model revealed at the Paris auto show in September. Land Rover says the updated Discovery will beat the segment's more practical rivals on space and versatility. The SUV is capable of comfortably seating seven adults and will appeal to a wide variety of customers, Discovery chief engineer Nick Collins told Automotive News Europe. "It could be an executive express, it could be for families, or for those with a very active lifestyle. We really think we have a unique position with Discovery," Collins said. The Discovery is the latest Jaguar Land Rover model in the segment to lose substantial weight, which helps improve emissions. Land Rover claims the entry version of the SUV is 480kg lighter than the model it replaces thanks in part to the use of an aluminum platform. With the new Discovery coming it's unlikely that Mercedes, which has four models in the segment, will improve on its second-place ranking based on brand sales. The German automaker, however, has at least made the race challenging this year by boosting its combined nine-month volume in the segment 62 percent to 38,322. 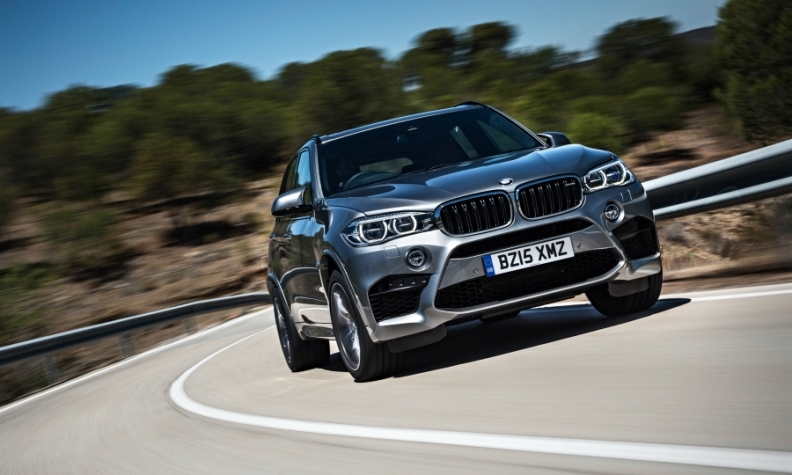 The BMW X5 was Europe's top-selling premium large SUV through nine months. This story is from Automotive News Europe's latest monthly magazine, which is also available to read on our iPhone and iPad apps.You can download the new issue as well as past issues by clicking here. A big reason for the rise was that Mercedes last year added the GLE Coupe, which is a rival to the BMW X6, to a lineup that already included the GLE (formerly called the M class), the seven-seat GLS (formerly the GL) and the off-road focused G class. BMW has two models in the segment (the X5 and X6) and Audi just one with the Q7. Another model to watch in the segment is the Maserati Levante. After three months on the European market, the Fiat Chrysler Automobiles subsidiary has sold 910 Levantes. A key trend in the segment is the move toward four-cylinder engines. 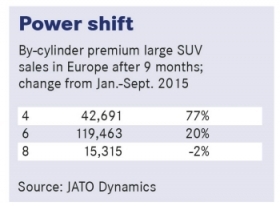 JATO figures show that four-cylinder sales in the segment rose by 77 percent in the first nine months to 42,691. 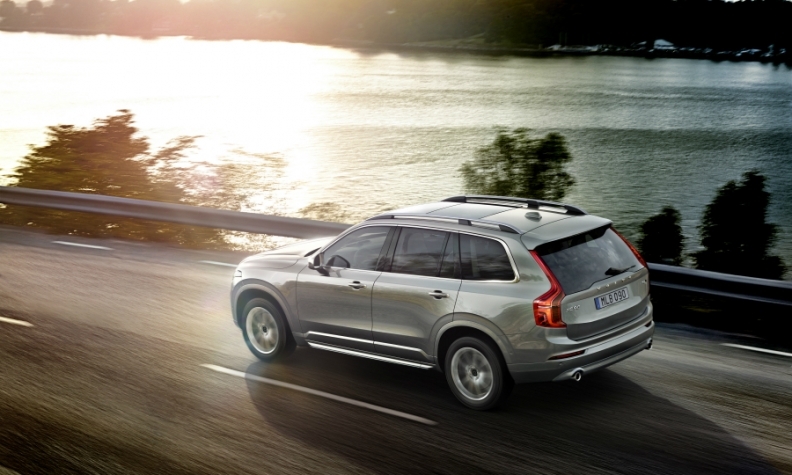 A big reason for this is that the XC90 is only sold with four-cylinder engines. The powerplant is likely to get another boost once the new-generation Discovery arrives as Land Rover will offer the SUV with a four-cylinder diesel. The previous Discovery was only available with six-cylinder engines. While demand is rising for four-cylinder units, the segment continues to be dominated by models powered by six-cylinder engines. Through September sales of six-cylinder premium large SUVs were up 20 percent to nearly 120,000. During the same period, sales of eight-cylinder models dropped 2 percent to 15,315. 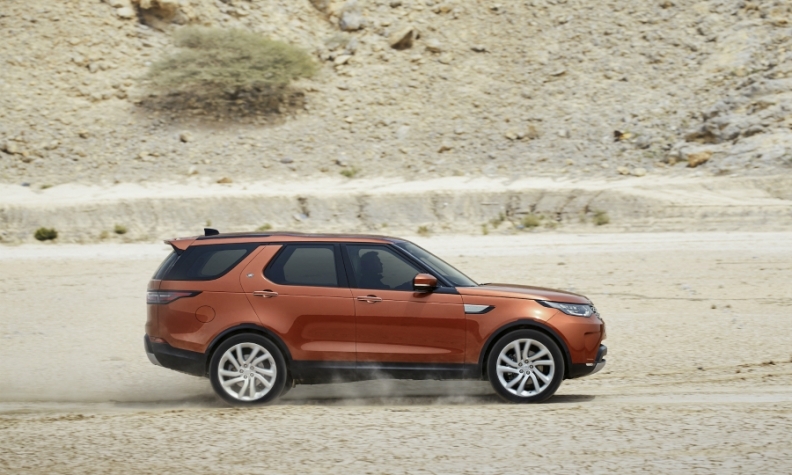 Land Rover is poised to maintain its lead as the top-selling brand in the segment once the new Discovery debuts. Also helping the growth of four-cylinder engines has been their use in parallel with an electric motor in plug-in hybrid models. Sales of cars such as the XC90 T8 (the best-selling plug-in hybrid in the segment, according to JATO), the BMW X5 xDrive 40e and Porsche Cayenne S E-Hybrid grew a massive 299 percent in the first nine months. The only full-electric SUV in the segment is the Tesla Model X, which had a European volume of 1,901 through the first nine months. 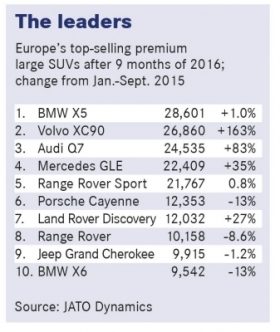 The dominance of German brands in the segment resulted in Germany being Europe’s top market for premium large SUVs. Sales in the country were up 28 percent to 52,764. Land Rover’s home country was close behind as sales in the UK sales increased 20 percent during the first nine months of the year to 43,798. France ranked third with 12,084 sales, a rise of 37 percent, while sales of the models in Italy jumped 18 percent to 11,973.